Liz Larroquette Featured in Playa Community! I can’t tell you how excited I am to have been able to share my insights with the Gold Coast community through it’s favorite publication last month! 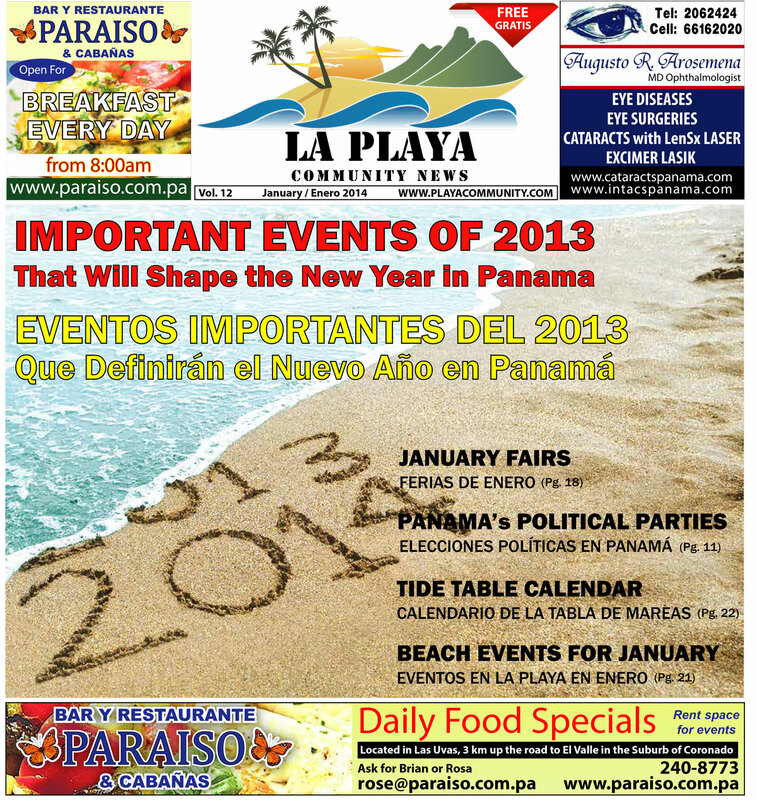 Playa Community featured my story- Important Events of 2013 That Will Shape The New Year in Panama, on it’s cover for it’s Dec 2013 issue. Ending the year with a bang! 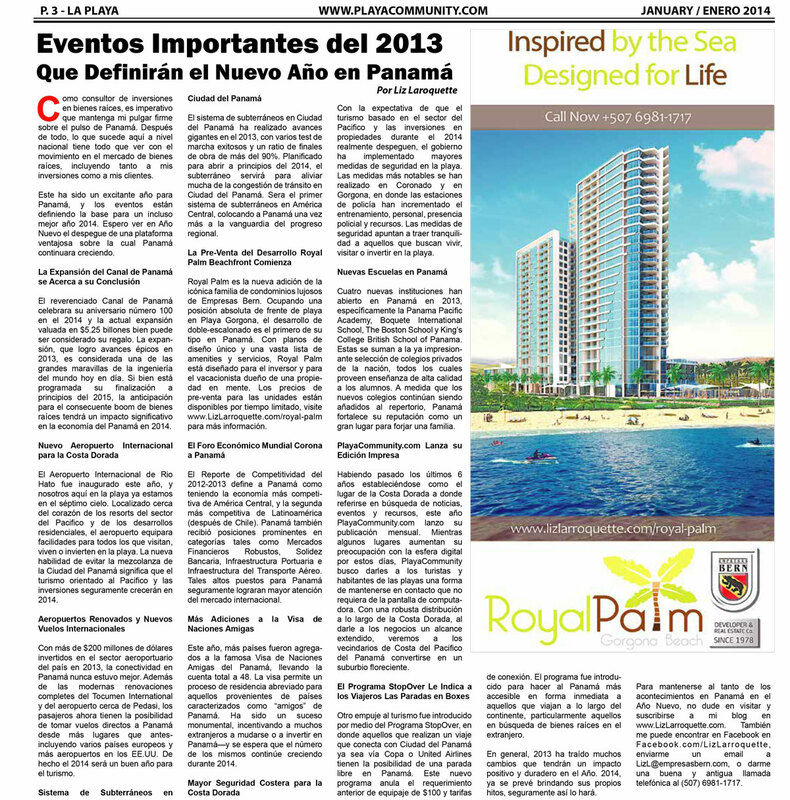 You can read the full story on pages 1, 2, and 3 of Playa Community, both in English and Spanish. 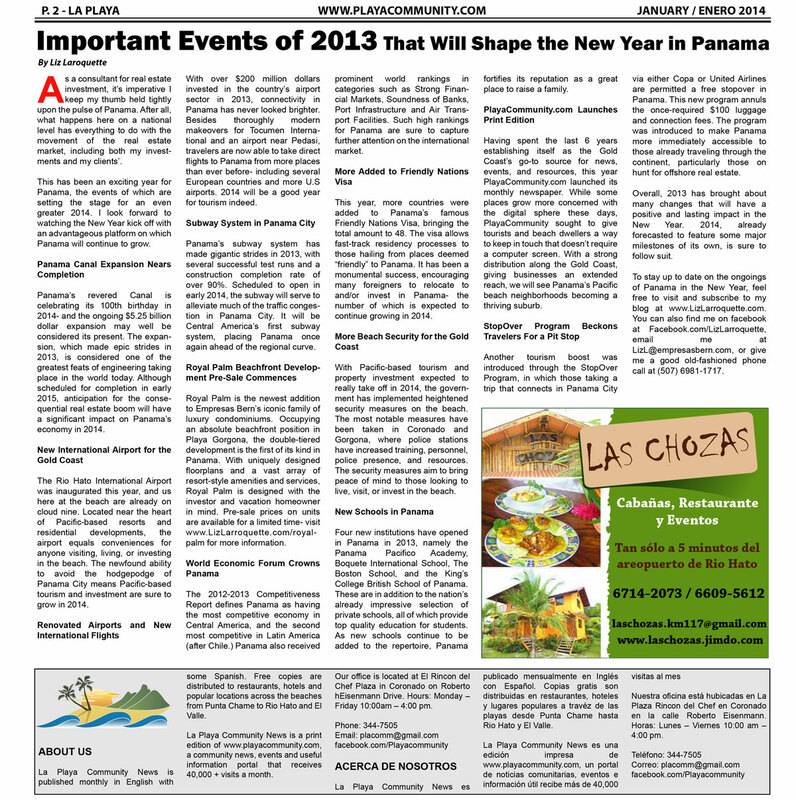 Next Post What Do Panama Expat Moms Know That You Don’t?